Forget Keith Haring tees and fanny packs for a second, the ’80s saw the release of Michael Jackson’s “Thriller” album, Bros’ debut album “Push” went seven-time platinum, and “Gangsta Rap” emerged onto the scene. It was an iconic decade for music. Although I only lived through half of it, I’m more than making up for lost time! While listening to Absolute 80s on the drive to work the other week, I found myself thinking about tech innovation in the ’80s. From the Nintendo Entertainment System (NES) to IBM’s first Personal Computer (the 5150) — and the Atari Touch Tablet. I wondered what tracks might have inspired those working on the design of these products. That then triggered this genius idea to create a UX-focused ’80s playlist! A series of tracks, which underpin the opportunities and challenges we face as UX professionals — everything from stakeholder management to storytelling, usability testing to using your imagination — all while celebrating the diversity of the ’80s, with the resurgence in heavy metal and the birth of synth-pop and new wave. With a little help from my friends on LinkedIn and Twitter, I’ve created a playlist worthy of a shout out on GTA Vice City’s “Flash FM”. Don’t panic. There’s no Milli Vanilli or Rick Astley-esque “fillers” here. 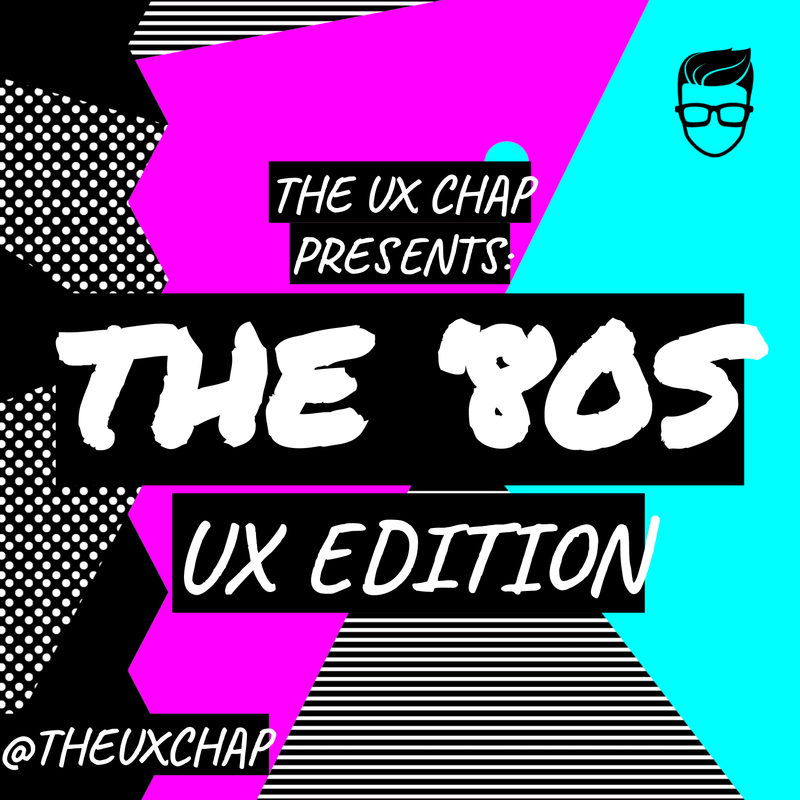 Without further ado, (in no particular order) here’s your rundown of the Top 40 UX-inspired hits of the ’80s! Please Note: There is one track deemed to contain ‘Explicit Lyrics’, in Slick Rick’s “Children’s Story”. With his literate, winding narratives, Slick Rick is a master of storytelling, so at least one of his tracks had to feature! So there you have it. My UX ’80s hit parade. The only thing missing is a couple of C90 cassette tapes and a Sony Walkman! Thank you again to all those who contributed suggestions. Much appreciated. Be sure to follow the playlist and share alike. I may even add a few bonus tracks to it too! And keep an eye out for other UX-inspired playlists, covering the ’60s, ’70s, ’90s and ’00s, which I’ll be looking to compile, in the coming weeks!